Thirteen years in the making, Craig McCall's documentary profile of cinematographer Jack Cardiff reveals an impassioned artist who literally painted with light and dramatically transformed the art form of cinematography through his chiaroscuric B&W lighting and his early experiments in Technicolor. As detailed at the film's website, 54 years after first winning an Academy Award® for his stunning Technicolor work on Black Narcissus (1947), Jack Cardiff became the first cinematographer to receive an honorary, Lifetime Achievement Oscar® for contributions spanning a 70-year career. Though responsible for the camera work that distinguished some of Michael Powell and Emeric Pressburger's best loved films, including the aforementioned Black Narcissus, A Matter of Life and Death (aka Stairway to Heaven, 1946) and The Red Shoes (1948), Cardiff went on to work with Alfred Hitchcock, Lawrence Olivier, Richard Fleischer and John Huston, eventually directing several notable films of his own, though remaining relatively unknown to the general public. 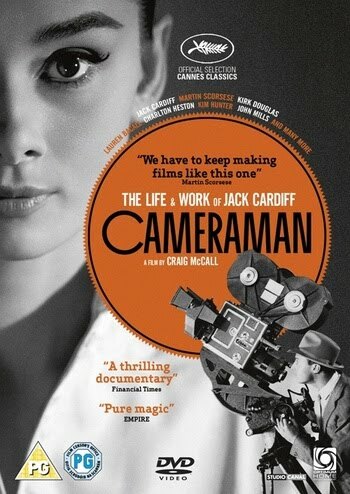 Craig McCall's Cameraman: The Life & Work of Jack Cardiff (2010) effectively and entertainingly redresses that oversight. No less passionate than his subject, Craig McCall and I fortuitously sat next to each other at the PSIFF screening of Matias Bize's La Vida de Pesces (The Life of Fish, 2010), struck up a conversation, and shared several more exchanges in the press lounge throughout the run of the festival. 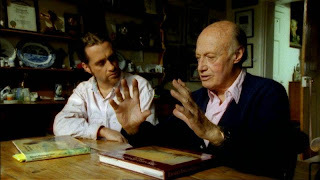 A true raconteur, McCall had stories aplenty about Jack Cardiff and the many individuals interviewed to effect his engrossing portrait; individuals who—as Mark Adams suggests at Screen Daily—"help give the documentary a real sense of real insight and gravitas." Eager to praise Cardiff, such luminaries as Kirk Douglas, Lauren Bacall and Charlton Heston offer fascinating remembrances that account for why Telegraph reviewer Sukhdev Sandhu wished the film could be longer, and with Martin Scorsese on board to provide valuable cinephilic context, McCall's documentary is definitely winning, earning the favorable Cannes reviews rounded up by MUBI's David Hudson. The first to agree to an interview, in fact, was Kirk Douglas, which was especially noteworthy because it was held shortly after Douglas had regained his speech after suffering a stroke. Douglas generously invited McCall into his home. McCall explained that he didn't know who Jack Cardiff was when they first met by chance in the mid-'90s. Cardiff took an interest in McCall's clockwork home movie camera, which was similar to one Cardiff had used to record candid moments with the casts and crews of numerous productions. It was an instance of being in the right room at the right time and Cardiff made McCall laugh, which he liked. McCall felt Cardiff had the energy of a film school graduate and was impressed with his enthusiastic storytelling, which could range from Marlene Deitrich to Sylvester Stallone in the same sentence. Over a glass of red wine he would say to McCall, "Let me tell you a story" and then "let me tell you another story" while pouring a second glass of red wine. McCall found himself relaying Cardiff's stories to others so frequently that he decided he might as well chronicle them in film. Describing the cumbersome process of editing his ample footage to a distinct narrative line that emphasized Cardiff's passion and artistry as a cinematographer rather than a straightforward catalog of his filmography, McCall likewise spent years securing rights to film clips from admittedly famous movies. "There's no straight path to the studios," McCall advised. Even with money, a filmmaker can't get whatever clips he wants. But McCall dug in his heels and the benefit of having to wait so many years is that—when permissions finally came—McCall was able to use restored clips. After this laborious process of securing the clips, McCall brought a working print to Los Angeles and screened it for Cardiff and Richard Fleischer, among others, and—though surprised by some bits—Cardiff genuinely liked the film, and gave McCall a hug when he heard the audience laughing. 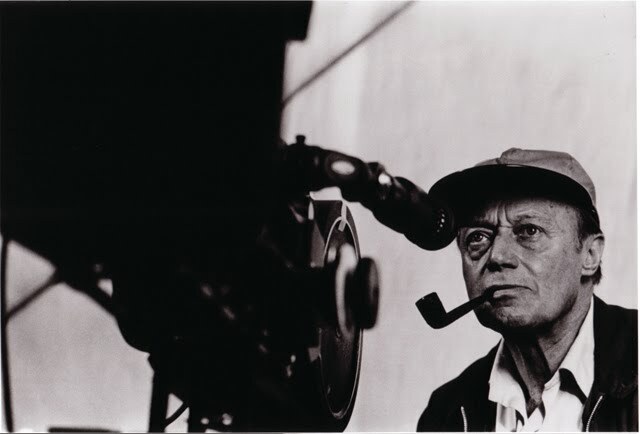 Adding value to the documentary over and above its generous usage of film clips are Cardiff's paintings, his photographs of beautiful actresses, and his on-set home movies, elements which created visual layers that spoke to the way Cardiff fused his various artistic expressions into cinematography. Without a formal education, Cardiff broke some of the conventions of his time to achieve his art and McCall felt this made him an accessible subject, let alone an inspiring one. Michael Guillén: Craig, congratulations on a fantastic project. I'm impressed that—not only do you single out the artistry of cinematography by profiling Jack Cardiff—but, also that you are suggesting the artistry of the interview format. I'm intrigued by your choosing to include yourself within the frame, in contrast—let's say—to someone like Richard Schickel who purposely strives to keep himself out of his documentary profiles. Can you speak to why you chose to include yourself? Craig McCall: I thought it would be a bit cold not to. Jack becomes electric within a conversation so I literally wanted the audience to see him talking to me when we were joking and at ease. I didn't really want to be in the film—I thought I was going to be behind the camera—but, when he tells stories they don't come across as easy out of conversation. It's a bit like Jack standing next to a Turner painting—which you see a little bit of (though I cut most of that out)—because Jack was more easygoing when we were talking about painting rather than him standing next to a Van Gogh or a Turner. That was the way it went. It seemed that when I was behind the camera, he stiffened but when I was standing next to him or walking beside him, he was more comfortable telling his stories. All those stories we filmed while we were walking were literally told during a 30-minute walk where his mind triggered and he just started remembering things. 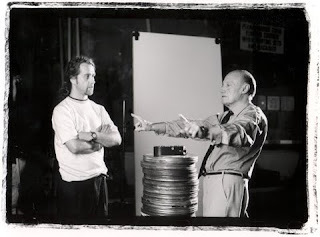 Ordinarily, with most TV commissions you have to be in and out and get as many photographs as you can, as many bits and pieces; but, I had the luxury as an independent filmmaker to ask Jack the same question three times and I got different answers each time. That allowed me to weave quite a detailed tapestry. Guillén: Were any of your interviews scripted? McCall: No, they were all impromptu. I tried not to feed Jack questions unless he absolutely insisted; but, I tried to explain why I didn't want to do it. Some people feel put on the spot that way but I explained that I was not asking in a journalistic way and that everything would be edited. I did all of the interviews myself except for Moira Shearer. Someone else had to go on that day and then she grew quite ill afterwards so I was never able to interview her myself. Some of the interviews were very short and some were very long. 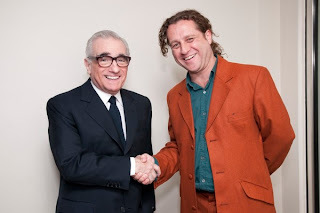 Guillén: Can you speak to Martin Scorsese's involvement in your film? 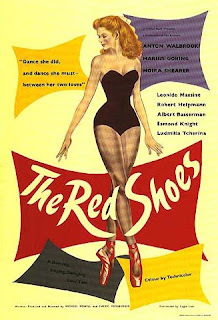 I'm aware that Scorsese attributes the influence of The Red Shoes on Raging Bull and that he engineered its restoration. 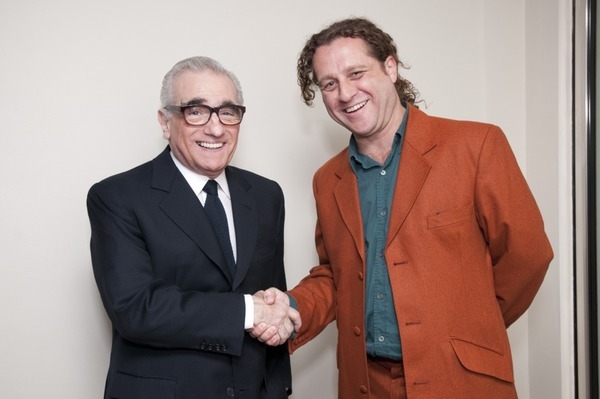 McCall: Scorsese was my last interview. I went out to see him twice and he didn't turn up twice while I was interviewing other people, which was expensive. But I tell people that at that time he was being asked to do 20 interviews a week, okay? He can't do them all. But what I will give him credit for is that he just doesn't do the big ones; he selects. I also think you have to be persistent with him. If you just go away after a couple of weeks, then that's the end of that. I waited two years. I didn't deal with him at the Venice Film Festival because I was in a kilt, even though his assistant said, "Do it now. He'll remember!" Guillén: Frequent allusions have been made to Cardiff's The Red Shoes to gain insight into Darren Aronofsky's Black Swan. Have you had an opportunity to ask Aronofsky if he actually cribbed from Cardiff? McCall: I was in Poland a little over three weeks ago where they showed my documentary and The Red Shoes at Camerimage, a film festival that honors cinematographers. Aronofsky and his DoP Matthew Libatique arrived to receive an award for Black Swan. Apparently, Aronofsky had never seen The Red Shoes but watched it after he completed his film; but, several people in the room saw similarities. I haven't spoken to Darren directly about that and didn't have a chance to ask Matthew about it. I think Matthew had seen The Red Shoes but Darren hadn't. I know this topic has been raised but I would be reluctant to speak about another filmmaker's path. I don't think the pressures of being a ballerina are that different now than they were in Cardiff's time. The world of prima ballerinas is so unusual to most of us and the pressures put upon them at their peak allows us to draw parallels from different times, which has happened here. I think it's interesting that they work off of each other. I don't see them as combative. Picked up for North American distribution by Strand Releasing, Cameraman: The Life & Work of Jack Cardiff will be screened in San Francisco at the upcoming Mostly British Film Festival on Saturday, February 5 in tandem with Cardiff's Oscar®-winning Black Narcissus. Further, in mid-February at Toronto's BELL Lightbox, Cameraman: The Life & Work of Jack Cardiff will premiere within a program of retrospective screenings that will include Michael Powell's A Matter of Life and Death, Black Narcissus and The Red Shoes, John Huston's The African Queen, Joseph L. Mankiewiecz's Barefoot Contessa, and Albert Lewin's Pandora and The Flying Dutchman. In early December the Global Film Initiative (GFI) officially announced the Global Lens 2011 Film Lineup, and the series—now in its eighth year—premieres January 13-28, 2011, at the Museum of Modern Art before embarking on a yearlong tour of over 35 cities across the United States and Canada. The series will be simultaneously released throughout the year on Virgin America airlines, and selections will also be presented in Washington, D.C. in January as part of a newly established partnership with the Smithsonian Institution. 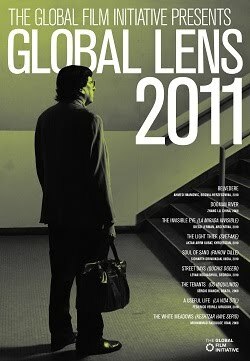 Launching the series in New York will be Federico Veiroj's A Useful Life (La Vida Útil, 2010), which charmed audiences at the Toronto International and went on to win top awards at the Havana Film Festival. I'm personally delighted that GFI has championed this project, first through grant support and now with distribution through its Global Lens series. On the occasion of this great news, I'm revisiting the conversation I held with Federico at the Toronto International, originally published at MUBI. 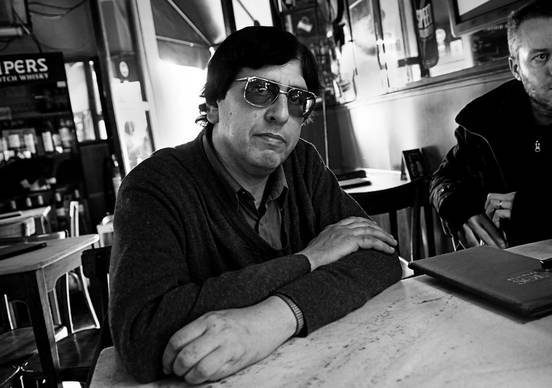 Uruguayan filmmaker Federico Veiroj was born in Montevideo in 1976. In 2000 he obtained a Degree in Social Communication at the Catholic University in Montevideo, coursing one semester at VCU (Virginia Commonwealth University, USA). 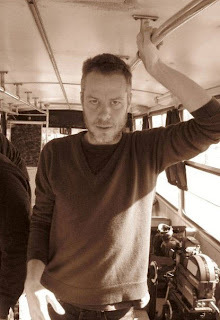 He has been directing and producing short-films since 1996. He has also worked as an actor in many Uruguayan short-films and as script supervisor in Juan Pablo Rebella and Pablo Stoll's features 25 Watts and Whisky. 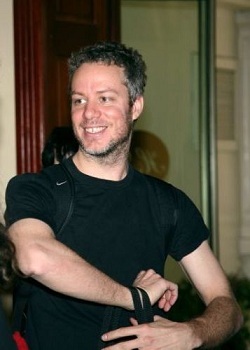 He has followed up his first feature film Acné with the cinephilic valentine A Useful Life (La Vida Útil, 2010). A Useful Life was the first film at the 2010 Toronto International Film Festival I heard applauded at its press screening, confirming as Diana Sanchez had written in her program capsule that "for anyone who loves cinema in its purest form, this film will be a revelation." As Sanchez synopsized: "Federico Veiroj's thoughtful and delicate second feature contemplates the value of outmoded occupations with this evocative (and alarming!) depiction of life at the end of a cinematheque." At an admirably unassuming 66 minutes, Daniel Kasman dispatched to MUBI: "Federico Veiroj's wonderfully trim and sensitive record of working at a place—and that place happens to be a cinema—is another elegiac entry in a micro-genre being slowly carved out by such filmmakers as Tsai Ming-liang (Goodbye, Dragon Inn) and Lisandro Alonso (Fantomas) which explore the soon-to-be-abandoned spaces that will soon be inhabited only by the ghosts of cinema." At Variety, Robert Koehler described A Useful Life as "delectable", adding that "what begins as a seemingly dry work directed purely at cinephiles evolves almost invisibly into a droll romantic comedy, and marks a clear step forward for Veiroj. ...There's a certain perfection to Veiroj's conceit that's entirely winning and convincing, due in no small part to [Jorge] Jellinek, whose character evolves from a shy, ungainly creature into a man on the town. This certainly marks one of the most dominant and sustained lead performances by a professional film critic; it's part of a recent phenomenon that includes Glenn Kenny in Steven Soderbergh's The Girlfriend Experience and Mark Peranson in Albert Serra's Birdsong." An enthusiastic and grateful Veiroj met with me to discuss his heartfelt project. Michael Guillén: La Vida Útil felt more intimate to me than your previous film Acné in the comfortable embrace of its lustrous black and white (even though I understand it was originally filmed in color?) and what Variety critic Robert Koehler has noted as "a late-'50s/early-'60s retro feel." Can you speak about that? Federico Veiroj: Yes, I can. There are two things. The first thing is that, obviously, in La Vida Útil I am talking about a world that I belong to—not only the world of cinema, which we all belong to—but, the specific world of the Cinemateca Uruguaya, the place where I grew up as a filmmaker, moreso than through my university studies for example. Also, I have worked at cinematheques, not only in Uruguay but also in Spain at the Spanish Film Archives. In Uruguay I used to collaborate with their cinematheque and—instead of climbing double-decker buses in the cities—I went to cinematheques to watch movies like everyone else who loves movies. This film reflects my world. I can't say I know a lot about cinematheques in general, but they are places that I visit and like a lot and I have many friends who work at film archives. So maybe you feel the film is intimate because I'm into cinematheques? The other thing is that—now that I have seen the film as a spectator and received feedback from enthusiasts like yourself—La Vida Útil has something that makes the cinephilic audience feel they are part of the main character Jorge as well. We all have rituals we indulge when we go see movies we like at our favorite cinematheques and moviehouses. We all love to feel emotional watching movies. That's what we all want. Even in my case, though I am a filmmaker, I am first a spectator; that's what I like more. Maybe the intimacy is my fault? I made the movie about this subject, of course, but maybe the fault—and I mean good fault, right?—lies within you because maybe my film connects you with other films you've seen, other places you've been to where you've watched films, such that you can understand the plight in the film? You understand what is happening in the film. In my case, of course, I identify with all of the characters and there are little bits of me throughout the movie and I'm talking about a subject I know and like; but, I think for the film to work there has to be some similar contact within the person who is watching it. I love having that dialogue with someone who is watching the film. I appreciate it a lot. Guillén: You're saying, then, that within cinephilia itself there is an inherent shared intimacy? And that's what your audiences are relating to when they watch this film? Veiroj: I think so. I'm not the kind of person who is all "cinephile" and all that—I'm more like the average person who goes to see movies in the cineplexes—I just love movies, I love to watch movies, I like to investigate them, it's the thing I like most; but, yeah, the film relates to other people who do the same thing. That's beautiful. But since films are related to emotion, anyone who feels emotion at the movies is going to connect to this film, more than someone who doesn't really like to watch movies or isn't used to watching movies. You don't have to be a cinephile to enjoy my movie, even if it is telling the story of a man who is working at an archive. As a filmmaker, I wanted to tell a story that was open and available to everyone, to anyone who loves movies, and not to close it off to any specific cinematheque, even though it seems to be about the Cinemateca Uruguaya—but it's really not—and even though there are people who are working at the real cinematheque or have worked at the real cinematheque who are in the movie—but it's not really their story—I wanted to play with that dialogue also. What I like about my own film is that it makes a very small subject more universal perhaps? Guillén: Clearly, one of the main reasons I loved La Vida Útil is, as you say, because I love movies like so many others love movies; but, where its narrative especially spoke to me was in this idea of losing a livelihood and having to come up with an alternate purpose. Myself, I've only come to films in any disciplined and conscious way within the last five years or so. Before then, I worked my entire adult life in the legal field and the state judiciary. This was how I knew myself. How I identified myself. Unfortunately, about six years back I became ill and, as a consequence, was constructively discharged from my position with the Courts, much against my will. You can imagine what a crisis of identity this was for me. That's why that sequence when Jorge leaves the cinematheque after it has been officially closed down nearly sang to me in its desultory aimlessness, in his trying to gain some bearing as to what to do next, in how to fill his time and—as the film's title lays out—how to discover and reconstruct a useful life? 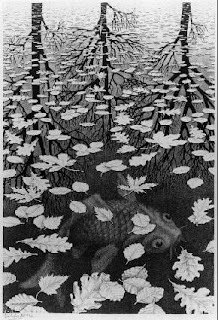 That moment when he is waiting for his love interest Paola (Paola Venditto) to finish up with her classes, filling his time by contemplating the carp in the pool, is an image redolent with wistful anticipation and an almost awkwardly-discovered reappreciation of the world. It was my favorite image from your film. It possessed the same awareness captured by M.C. Escher in his 1955 lithograph "Three Worlds." Veiroj: [Smiling] Yes, that image is beautiful. Guillén: I'm glad we agree. [Smiling.] So let's talk about the visual look of your film, not only its intimate use of black and white, but also its 1.33 aspect ratio that you and your DoP (and co-writer) Arauco Hernandez utilized to further that intimacy. Veiroj: As I said before, when I make a film I never forget that I am also a spectator. When I begin thinking about a film I want to make, I imagine myself as the spectator sitting in the audience watching the film on a screen in a theater. In this case, I had an old script about a young guy working for a film archive in Spain who returns to work at a cinematheque in Uruguay; but, I put that story aside to film Acné but—while working on the distribution for Acné—I met Jorge Jellinek, the main character of La Vida Útil. Meeting Jorge made me start thinking about this old script because his face and body seemed related to that story. I couldn't resist rewriting that script for Jorge, for those places, that man, and—I don't know—as the imaginary spectator in my own mind, I saw it in that square format and in black and white. I know it can be seen as an homage, as a way of working in the old days, or something like that and maybe my intention was a little bit that way; but, more, it was a way to present something to get the emotion I wanted in the spectator. Can you imagine this story in Cinemascope or in color? No! This story was for a square format and for black and white. If you met Jorge in real life, you would see that he is a black and white person. It's nice! Veiroj: Yeah! But I was free not to have to make it a little bit longer just to make sure I could get it shown theatrically. No. This film was made so free and it will remain free until the end. I know it's not a marketable film. But I'll write another story and fend for money one more year and a half, which is about the amount of time it takes to make a South American movie, and I'll do it like that in the official way. But with this movie, we were able to make it in the time we wanted with the people we wanted in a very special way. Guillén: I can't speak for its marketability because I'm not informed enough about such things and, truly, not as interested as perhaps I should be; but, I predict this film will have an affectionate critical success and—among festival audiences—a measure of popular success as well. Guillén: As a cinephile with at least a limited awareness of how cinematheques are run, there were distinct pleasures I could sift from the film, which I noted were being equally appreciated by the audience around me. In the first half of the film especially you set up the quotidian and rather unglamorous practice of maintaining a cinematheque. Diana Sanchez details "selecting, projecting and introducing films, programming retrospectives and cultivating an audience"; Robert Koehler notes "searching for reels in the (hardly climate-controlled) print library, tracking the steadily declining membership roster, meeting with Martinez and staff to discuss problems or promoting the cinematheque program on local radio"; and Danny Kasman spots such "quiet, succinctly considerate detail[s]" as "the maintenance of theater seating, the retrieval of film cans in a tight archive hallway, and the way programmers will nod to a projectionist to start the film after an announcement." The specific instance where Jorge is checking out the auditorium seats is droll and hilarious. My audience loved it. By film's end, however, when the cinematheque closes and Jorge has that moment of transition we talked about before, instead of a sense of despair over what has happened, there's more a sense that—because the monotony of overwork has been interrupted—Jorge gradually recognizes the chance to lead a real life. He purposely leaves behind his briefcase with his personal effects from the cinematheque after getting the haircut he hopes will better woo Paola. After waiting all day for her classes to end, he suggests they go see a movie. What a resolution to this crisis! What were you actually saying there? Were you saying that—as admirable as it might be to devote one's life to a cinematheque—it might also be an unsatisfying substitution for a more engaged life? Veiroj: I'm saying two things. First, as you observed, the film is structured in two parts. As the script was originally written for the first part, we had included scenes of Jorge's domestic life alongside the depiction of his daily work; but, I decided I didn't want to do that. I thought it would make it like any other movie on this subject. I decided to make the first half a complete unit in itself that focused just on his work. Then in the second half of the film, the idea was to save our hero once he has lost his work. By the second half, we believe this man has to continue his life and that it should be connected to something he believes in, something he is sensitive to, another life worth living. The question we asked ourselves was: how could we do that? We thought of many things but it was important to make the right decision because, after the first half of the movie—boom!—we knew that the audience would not be happy if we left things like that. We knew we had to give Jorge a rebirth that would somehow not go against the first part; but that, instead, would deepen the first part. The idea was that the rebirth would come out of him. He's leaving behind the world he knows but, out of what he knows, comes his new life. Guillén: In effect, the man who loves heroes in films becomes the hero in his own film; i.e., his own life? Veiroj: Yes. It's a Quixotic impulse to live his own film. He was in love with film in the first part and we, as spectators, went along with him and his activities—we appreciated his devotion to movies—but in the second half we get to see Jorge as a man reborn. 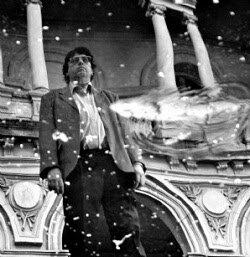 Guillén: With his love of cinema intact but reconfigured? Veiroj: Yes. We decided the way for this man to survive the death of the cinematheque was through cinema. Not cinema by way of a reference to this movie or that movie; but, cinema in itself as a way of communicating emotion. If within you there is only a negative critic, you will watch that second half and think, "What happens? Nothing!" But actually a lot happens to Jorge in that second half. Our challenge was to keep the audience sitting there for the second half of the movie as engaged with Jorge as they were during the first half and to represent his transition through beautiful images, like the one you liked of the fish in the pool. So we edited the structure of the film like that and then we brought in the music. The idea was that the man who worked in this doomed cinematheque should not end up being a waiter or a shoe repair guy. No! That would be a stupid resolution. That would be a resolution we've already seen in other movies. We don't need that. What we needed was to save that man, to treat him like a hero for all the work he did at the cinematheque, and movies were the only way to save this guy. That's it. 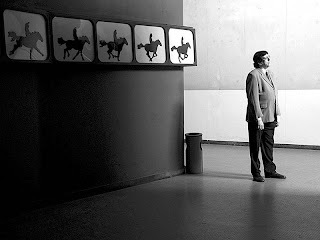 Guillén: Speaking of the music, I must ask you about that profoundly appropriate song about the two horses. Was that written for La Vida Útil? Or does it have its own unique history? Veiroj: No, it was not written specifically for La Vida Útil. I've known the song for many many years. It's a song based on a poem by Leo Masliah. He's an author and an actor as well as a musician. He's a very special person, great of course, is known for his sense of humor, and this particular song was from a poem written in 1980-81 during the dictatorship in Uruguay. That song at that moment from that artist represented something more than just the past. It was like a Proustian way of seeing and relating to the past. Though I lived through the '80s in Uruguay, I was not so active—I'm not a political person anyways—but I know what the song represents. I connected to its themes of the loss of innocence and how one must leave the past behind in order to grow. These are themes you must handle with great care because we all share a lost past—such as these abandoned cinematheques where none of us will go to see movies anymore—and when we shot that sequence for the film, we shot it in silence because I already knew that I was going to use that song. Guillén: You've taken great care with the song; it's exquisitely placed in your film. Another moment I wanted to address in La Vida Útil is Jorge's lecture on lying to the law students. Again, this spoke to me because of my personal disillusionment with the law when everything I had believed about justice turned out to be a lie. Can you speak to that scene? Veiroj: Yes. Two things. First, since the credits are in Spanish you might not have noticed that Jorge's "lecture" was written by Mark Twain ("On the Decay of the Art of Lying"). I don't know how old the lecture is but he delivered it to a group of university students. The idea was that we wanted to have the sensation that Jorge is saying something that is maybe from a movie, maybe from somewhere else, and I liked the idea that it was like bad acting, like an actor trying to remember a monologue. I liked that sensation in that moment, you know? Because after he delivers the text, you are led to believe what he is saying. It's also talking about his own life, that he is lying at that moment, but that cinema also lies, which linked back to the first part of the film where Frank Norris—the author of Erich von Stroheim's Greed—is talking about truth. It also links back to the first part of the film being almost a documentary, something like a real testimony, whereas the second part becomes more of a fiction, more lies. We thought it was perfect. Second, it served as a middle step for Jorge to go crazy as the protagonist of his own movie because—without that sequence—maybe you wouldn't believe his dancing on the stairs or his transformation into a new character? That was the idea. We needed a text and a way of shooting it to slowly believe his transformation of character and so that—as a spectator—you are discovering new depths to that man. Guillén: I'm glad you reference your film's inclusion of the clip from Erich von Stroheim's Greed (1924) because lately I have become interested in various practices of cinematic citation. In your film, Jorge's partner at the cinematheque Manuel Martínez Carrilo (playing himself) is fulfilling his duties as projectionist and screening McTeague (i.e., Greed). In fact, Robert Koehler in his review for Variety singled out that scene as "a particularly charming moment that captures the film's cinematic heart and soul." Why did you choose Greed to include within your own film? Guillén: You also included a film Febrero for the sequence in which the director visits the cinematheque (to somewhat disastrous effect). Is Febrero a real film or one created for purposes of the scene? Veiroj: [Laughs.] Febrero is an invention. 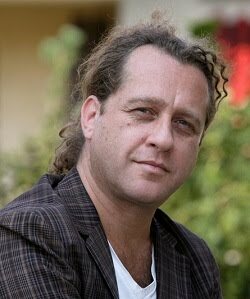 Gonzalo D. Galeana, the actor of that sequence, is a good friend who likewise co-wrote some parts of the second half of La Vida Útil. He also directed short films (at a film school in Cuba). He is a close friend and is the only person that I would say, "I would like to produce a film by him." He is really talented but sometimes lazy. So, we invented Febrero, and I wanted him to take on the role of its director because I am always saying to him that he has to make movies. He was the art director on my previous film Acné, and worked with me on Whisky, 25 Watts, El custodio, and others.